Your thoughts may never be far from the oil spill this summer, but a good movie is always a good idea. And maybe you will find time to pick up a stack of books and head for a clean beach somewhere. 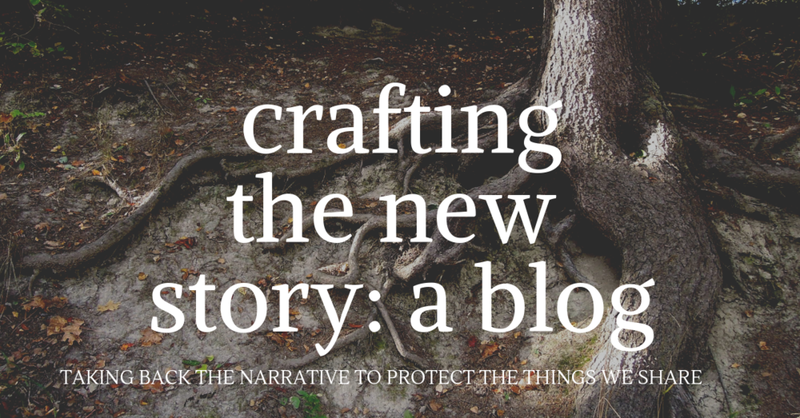 In this issue we bring you two movies, a book, and a viral video that make a case for the precautionary principle—along with more calls for precaution in relation to the oil spill, climate change, fisheries, and doing business in Canada. Living Downstream is now being prescreened across the country. This poetic feature documentary is based on Sandra Steingraber’s acclaimed book of the same name. The film follows Sandra during one pivotal year as she travels across North America, working to break the silence about cancer and its environmental links. Sandra is a writer, passionate advocate of the precautionary principle, and a member of SEHN’s board. Hercolumns appear weekly in the Huffington Post. To find or schedule a screening, go the website. The DVD will be released in September and is available for preorder. In Gasland, filmmaker Josh Fox explores an explosive issue: hydraulic fracturing ("fracking") in the production of natural gas and its unwanted side effects. The dean of Duke’s Nicholas School of the Environment says the movie makes a compelling case for the precautionary principle. Jamison Colburn (July 5, 2010) writes, "Regulating from Nowhere is a beautifully written book. . . . Kysar argues that the precautionary approach to risk regulation, properly understood, is simply the collective control of human conduct prior to the attainment of clear and convincing proof that that conduct is harmful—an approach our early environmental laws (and their interpreters) understood and often took. Best achievable technology mandates, so common in these laws, were once the tools of just such an approach. Today they are buried under a mountain of cost-benefit analyses." Legal Theory Bookworm (July 3, 2010) says, "Kysar . . . offers a novel defense of the precautionary principle and other commonly misunderstood features of environmental law and policy." This review quotes a number of prominent reviewers who also recommend the book. Annie Leonard's animated Web video has spread her environmental message worldwide to more than 12 million people. "Annie Leonard used to spout jargon," writes Roosevelt. "She reveled in the sort of geek-speak that glazes your eyeballs. Externalized costs, paradigm shifts, the precautionary principle, extended producer responsibility. That was before she discovered cartoons." Dennis Bushnell, chief scientist at the NASA Langley Research Center in Hampton, Virginia, says that unless we act on climate change the next century could see increases in species extinction, disease, and floods affecting one-third of human population. But the tools for preventing this scenario are in our hands: "I believe we should act in accordance with the precautionary principle: When an activity raises threats of harm to human health or the environment, precautionary measures become obligatory, even if some cause-and-effect relationships are not fully established scientifically." Menn, a marine biologist, writes, "You often might hear Greenpeace demanding observance of the 'precautionary principle', which is a legally binding principle for governments, including those of the European Union (EU). The precautionary principle means that when humans do not have enough information about an environment, then we should not proceed with exploiting any aspect of it. For fisheries this means, at least from the Greenpeace perspective, that there should not be any fishing in areas, where we don't have any knowledge of the ocean ecosystem. Sadly, the precautionary principle is rarely implemented in fisheries, or any other exploration of the oceans." In 2001 the Canadian Supreme Court endorsed the precautionary principle in a case in which a Quebec town charged two landscaping companies with violating a bylaw restricting the use of pesticides within the town for purely aesthetic reasons. This thorough review of the precautionary principle and what it means for Canadian business, in light of this decision, concludes, "The best way for a company to avoid liability is to adopt the same philosophy regarding its own environmental programs and activities. One of the most effective things you and your fellow officers and directors can do is make sure that the company errs on the side of caution when it's unclear whether a certain action should be taken or avoided to protect the environment. Exercising caution toward potentially polluting activities and engaging in proactive efforts to keep the company's operations environmentally sound may cost the company some money in the short run. But it will pay dividends in the long run." Here is another critique of the Wall Street Journal editorial lamenting the resurgence of the precautionary principle as a "nasty consequence" of the Gulf oil spill. (See last month's Rachel's Precaution Reporter.) "What's truly discouraging," writes Koehler, "is that [the precautionary principle] should be controversial -- but I understand why it is. It represents a fundamental shift in thinking at the geopolitical level, an assertion of human over corporate priorities."